I’m Kim Goldberg. And this website is the online home for some of the personal stories, news items, videos and other information I am gathering for my latest research project: Refugium: Wi-Fi Exiles & The Coming Electroplague. Where do you go when an invisible matrix spanning the globe is making you sick? In Refugium, I will explore that question through a series of profiles of people who are living with Electromagnetic Hypersensitivity, or EHS. Interwoven between these stories will be my own journey through the research as an investigative writer and biology graduate, along with my commentary about the larger forces driving the proliferation of wireless technology. These Wi-Fi exiles, and the special sanctuaries cropping up around the world to keep them safe, may indeed be harbingers of a future we are all hurtling toward. Kim Goldberg is an award-winning author, journalist and poet living in Nanaimo, British Columbia. She has reported extensively on environmental issues for newspapers and magazines in Canada and abroad. She is the author of six books and more than 2,000 articles. 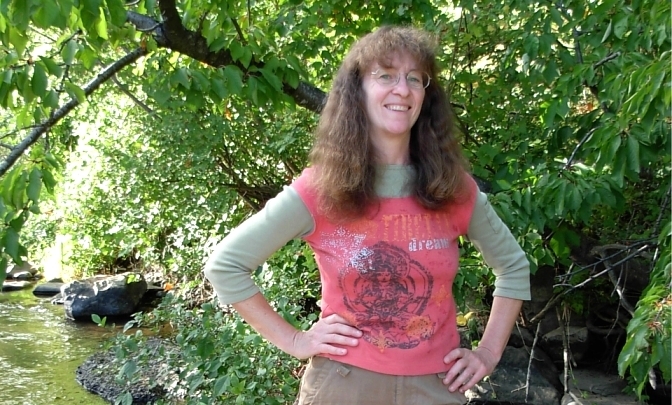 Kim holds a degree in Biology from University of Oregon and is an avid birdwatcher, nature lover and field naturalist. Read more about Kim here.